Imbolc, the festival of light! 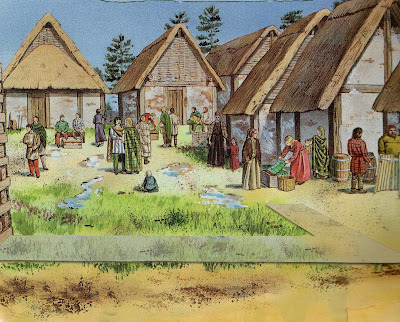 I often write about celtic use and customs!. My friends ask me why I am so fascinated by their traditions. 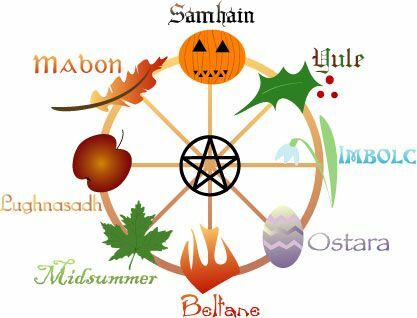 I love the perfect relation with nature in a wheel of the year in which months, seasons, equinox and solstices are perfectly combined with human cycle of life. 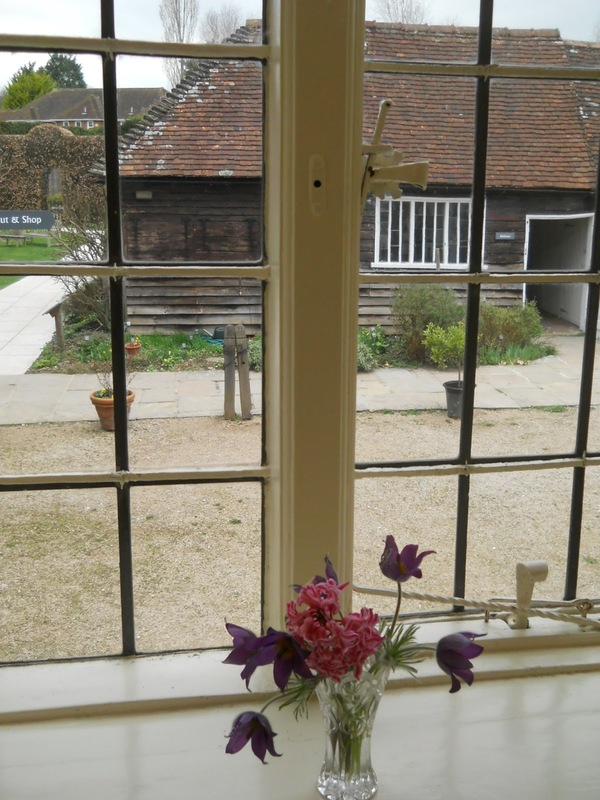 Nature and its elements became the essence of everything and allows us to understand many of human behaviours. Nei miei precedenti post ho spesso scritto di usanze e tradizioni celtiche. I miei amici mi chiedono perché sono così tanto affascinata dalle loro tradizioni! In realtà mi piace la perfetta armonia con la natura, la una ‘ruota dell'anno’ in cui mesi, stagioni, equinozi e solstizi si combinano perfettamente con il ciclo della vita umana. Credo che con i Celti più che in qualunque altra civiltà, la natura e i suoi elementi diventano l'essenza di tutto e i fatti accadono secondo il ritmo naturale che scandisce la vita e i comportamenti umani. The “Wheel Of the Year “ is a cycle of festivals celebrate throughout the year in a seasonal path were cycles are of crucial importance for the survival of the species as the represent life, death ad rebirth of the Goddess and the God in their various incarnations. Earth can’t fail her circular journey thought death to renewal as the sun can’t fail to return and bring back light and warmth! La "Ruota dell'Anno" è più di un calendario liturgico pagano. Le festività sono celebrate in un percorso stagionale in cui il ciclo è di importanza cruciale per la sopravvivenza della specie, per rappresentare la vita, la morte e la rinascita della dea e del dio nella loro diverse incarnazioni. La Terra non può fallire nel suo viaggio attraverso la morte e la rinascita come il sole non può non tornare e riportare luce e calore! 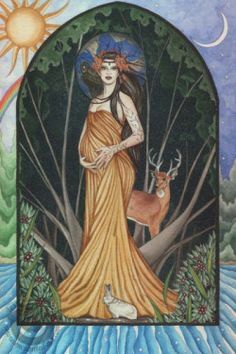 Mother Nature is symbolized with her feminine aspect and earth is a natural mother, the Goddess, who cares for her all creatures in a long journey from seeding to germination, from blossoming to fruit, from decay to rest. Ancient image of the great Mother Goddess dates back to Stone age. They were fertile images that emphasizing hips, buttocks, thighs and breasts. She was Mother nature and through the cycle of seasons her body, changed from a maiden, mother and crone. Madre Natura è rappresentata con il suo aspetto femminile e la terra è come una madre naturale, la Dea, che si prende cura di tutte le sue creature in un lungo viaggio dalla semina alla germinazione, dal fiore al frutto, dal declino alla morte. Le antiche immagini della Dea Madre risalgono all'età della pietra. Esse enfatizzano fianchi, glutei, cosce e seni. Ella, in qulità di Madre Natura, attraversa il ciclo delle stagioni e il suo corpo, passa da quello di una fanciulla, a quello di madre anziana. The maiden emerges now, at February with Imbolc festival, as the earth gently awakens in the spring and prepares to seed and to germinate. 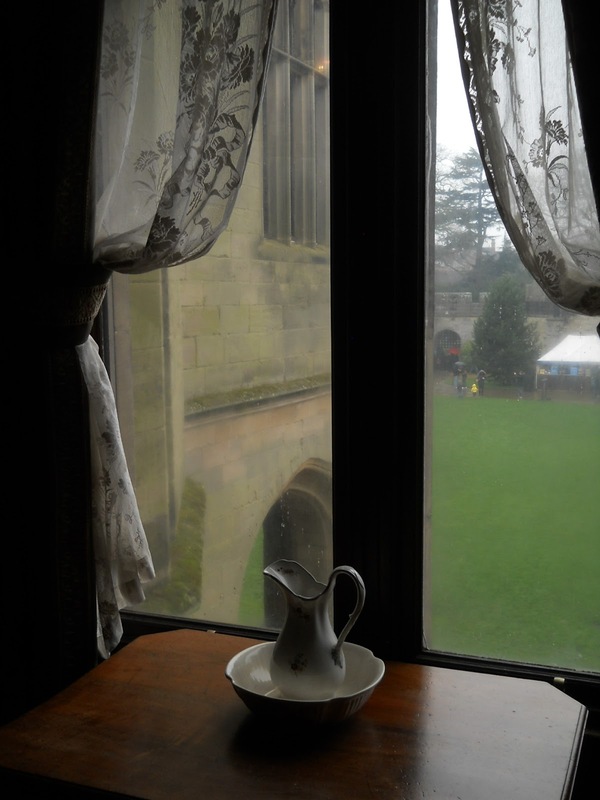 Imolc is a festival of hope and renewal after the darkest time of the year with a growing light. It is a promise of fertility,, new life, and new hope. La fanciulla emerge ora a febbraio con Imbolc, la celebrazione del delicato risveglio primaverile della terra che si prepara alla semina e germinazione. Siamo al termine del periodo più buio dell'anno, la luce è crescente ed Imbolc è un festival di speranza e di rinnovamento, una promessa di fecondità, nuova vita, e nuovi desideri. 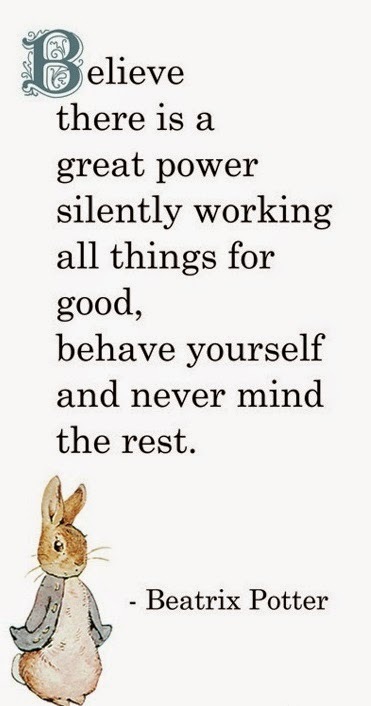 'Thou thyself wert the hearer of my tale. (From Alexander Carmichael's collection of folk poetry). 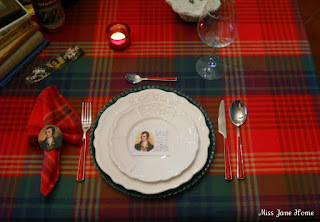 'Good old Robert Burns times'! 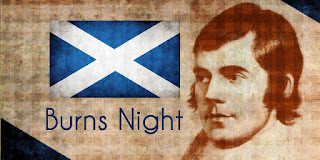 January 25th marks the annual celebration of Scotland's national poet Robert Burns. 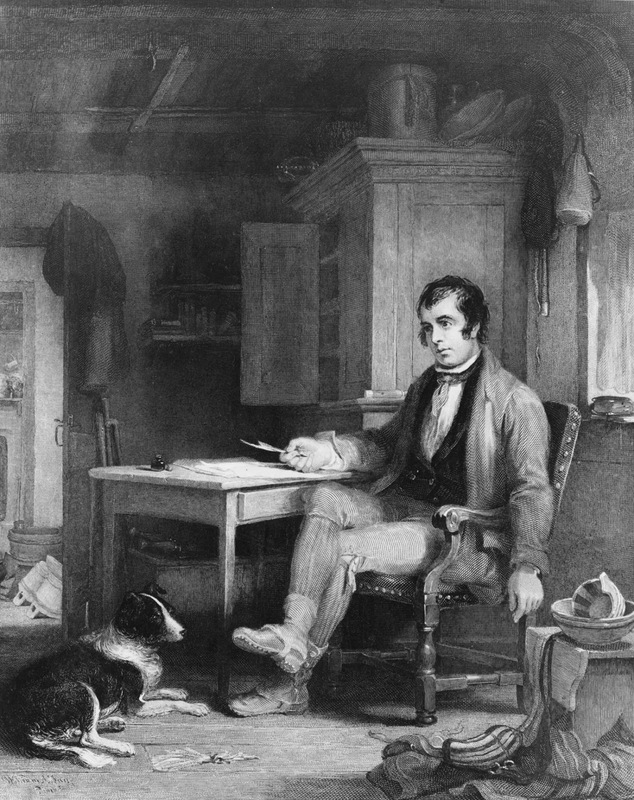 He was born in 1759 in Alloway in the west of Scotland and he is considered the Scotland's greatest poet and songwriter a national hero and a cultural icon in Scotland Burns was also a pioneer of the Romantic movement, influencing major poets like Wordsworth, Coleridge and Shelley. A few years after his death a group of his friends to honour his memory, started a tribute with a supper now celebrated annually on the date of his birth, 25th January. Here is a beautiful Burns poem written during a low period in his life, when things were not going so well. 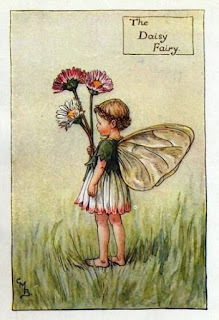 Burns compares the fate of a daisy uprooted by the plough to a maid deflowered. 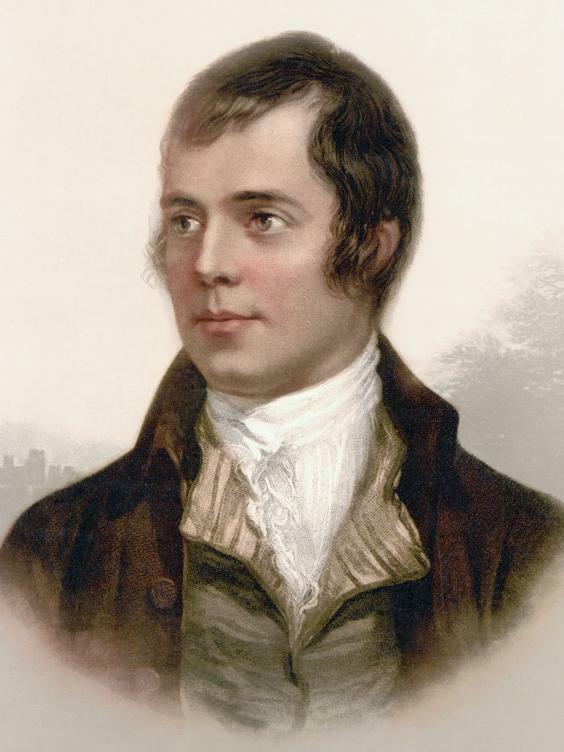 Il 25 gennaio è la celebrazione annuale del poeta nazionale scozzese Robert Burns. Nato nel 1759 a Alloway nella parte occidentale della Scozia, Burns è considerato il più grande poeta della Scozia, il cantautore eroe nazionale ed icona culturale del paese. Burns fu pioniere del movimento romantico, influenzando grandi poeti come Wordsworth, Coleridge e Shelley. Pochi anni dopo la sua morte un gruppo di suoi amici, per onorare la sua memoria, iniziò a celebrarlo con una cena che oggi si celebra ogni anno il giorno della sua nascita. In un periodo non troppo felice della sua vita Burns scrisse questa bellissima "Ode ad una margherita di montagna" in cui si rammarica del fiorellino costretto ad essere sradicato dall'aratro e paragona il destino a quello di una cameriera deflorata. Dolce fiore del rurale schermo! 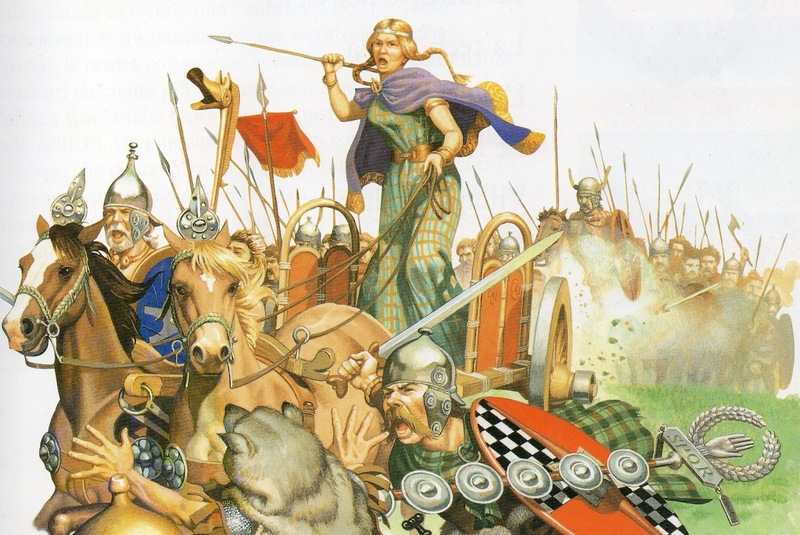 Sarai falciato dall’aratro che prepara il solco. Questo sarà il tuo destino. I've enjoyed this video on Robert Burns life. In 1788 Burns wrote "Auld Lang Syne" one of his best known poem. 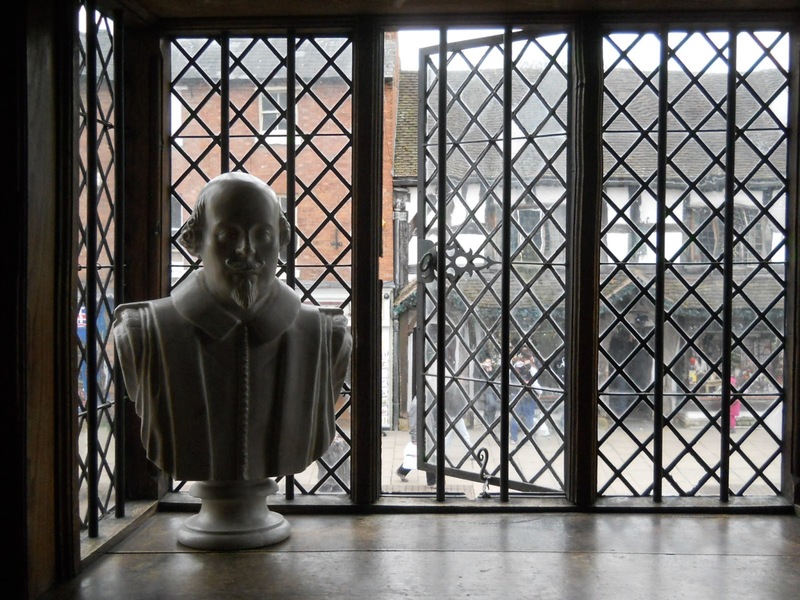 He remarks "The following song, an old song, of the olden times, and which has never been in print, nor even in manuscript until I took it down from an old man". In many countries the song is traditionally used to bid farewell to the old year at the stroke of midnight. Nel 1788 Burns scrisse quella che probabilmente sarà una della sue ballate più famose "Auld Lang Syne" conosciuta in italiano come "Il valzer delle candele" accompagnandola da questa nota: "La seguente canzone, una vecchia canzone dei tempi antichi, e che non è mai stata data alla stampa, e neppure manoscritta fino a quando l'ho presa da un anziano uomo". In molti paesi la canzone è tradizionalmente cantata per dire addio al vecchio anno allo scoccare della mezzanotte. Link at my Burn Night Tablesettings! Anne Brontë was born on this day in 1820 in Thornton. 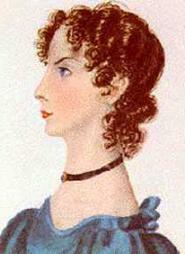 The youngest member of the Brontë literary family was author of Agnes Grey 81847), The Tenant of Wildfell Hall (1848) and a Poems with her pen name as Acton Bell. In 1850, her sister Charlotte in Biographical Notice of Ellis and Acton Bell wrote a tribute to her two dead sisters. 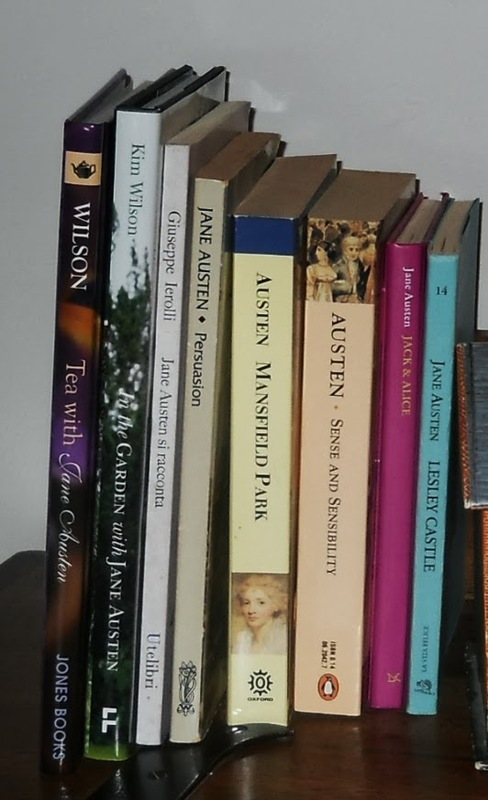 It was just over a year after the deaths of Anne and Emily and the combined edition of Wuthering Heights and Agnes Grey became due for a re-print. 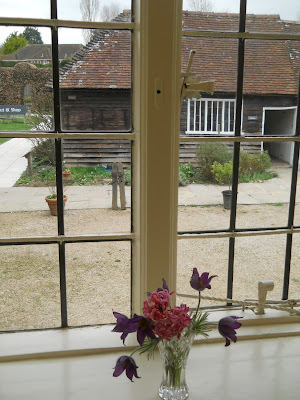 "Anne's character was milder and more subdued; she wanted the power, the fire, the originality of her sister, but was well endowed with quiet virtues of her own. Long-suffering, self-denying, reflective, and intelligent, a constitutional reserve and taciturnity placed and kept her in the shade, and covered her mind, and especially her feelings, with a sort of nun-like veil, which was rarely lifted. 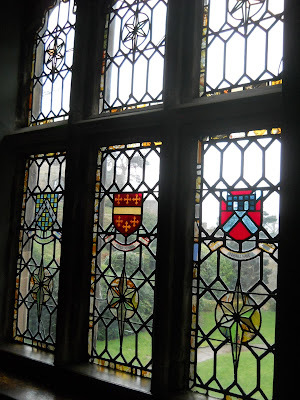 Neither Emily nor Anne was learned; they had no thought of filling their pitchers at the well-spring of other minds; they always wrote from the impulse of nature, the dictates of intuition, and from such stores of observation as their limited experience had enabled them to amass. I may sum up all by saying, that for strangers they were nothing; but for those who had known them all their lives in the intimacy of close relationship, they were genuinely good and truly great." 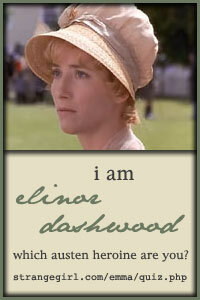 Anne died only five month after Emily. In the video below, Ann Dinsdale, curator at the Brontë Parsonage describes the night time routine at Haworth. 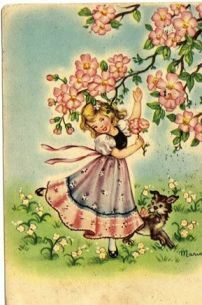 I've enjoyed it very much and I think it's very nice share it today to remenber Anne on her bithday! Here are two beautiful poems about night written by Emily and Anne. 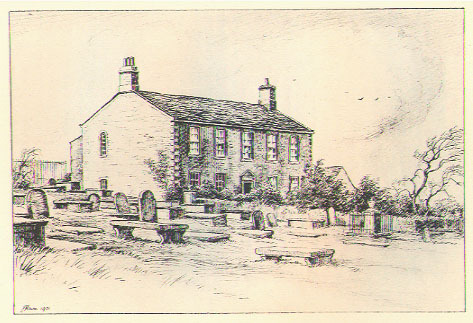 Haworth Parsonage as it was in the Brontës' lifetime. 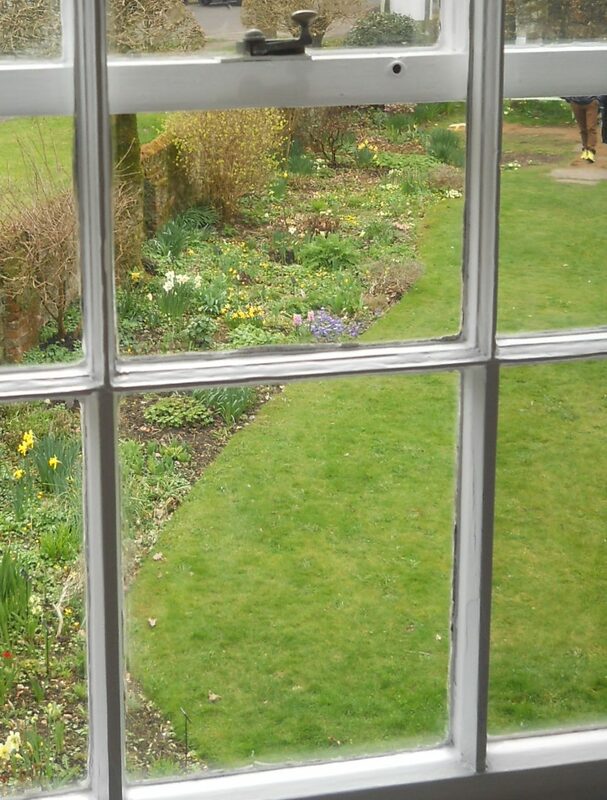 On March 2016 a new Anne biography will be released. 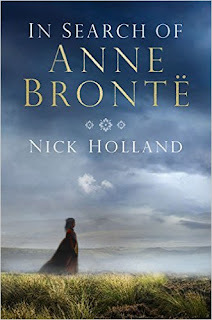 It’s called ‘In Search Of Anne Bronte’ by Nick Holland. Anne Bronte, the youngest and most enigmatic of the Bronte sisters, remains a bestselling author nearly two centuries after her death. 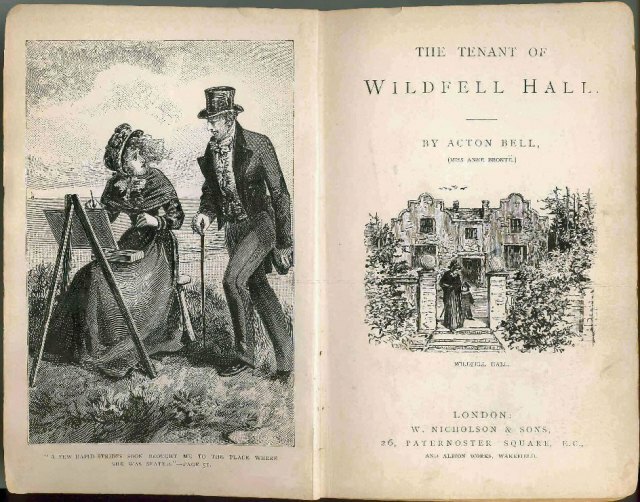 The brilliance of her two novels - Agnes Grey and The Tenant of Wildfell Hall - and her poetry belies the quiet, yet courageous girl who often lived in the shadows of her more celebrated sisters. 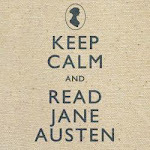 Yet her writing was the most revolutionary of all the Brontes, pushing the boundaries of what was acceptable. This revealing new biography opens Anne's most private life to a new audience and shows the true nature of her relationship with her sister Charlotte. Look through the windows is one of the things that fascinates me since my childhood. 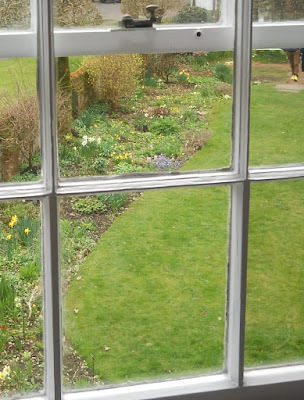 During my last journey to England I photographed some of them to stop a time for a while and to enjoy the view beyond the glass. 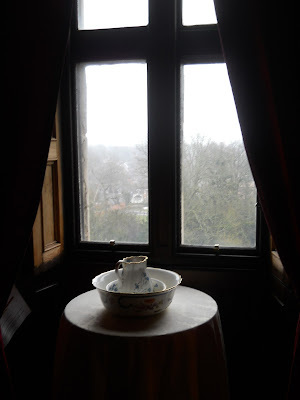 In this post I publish some of my photos with a poem of the great Fernando Pessoa! I am very intrigued by his works. His heteronyms are the result of a very brilliant mind!. His poetry 'It’s not enough to open the window' has had different interpretations. We are incapable of seeing reality only with our eyes or perhaps he speaks of the possibility of seeing far beyond reality thanks to our dreams? 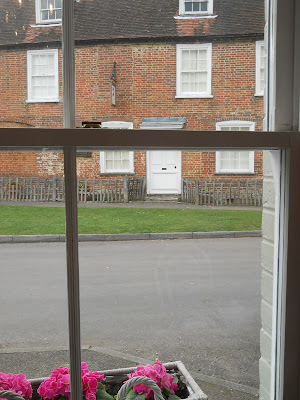 Guardare attraverso le finestre è una delle cose che mi affascina sin da bambina. Durante il mio viaggio in Inghilterra ho fotografato alcuni di questi scorci panoramici per poter fermare almeno per una volta il tempo e godere del panorama al di là del vetro. In questo post 'oso' pubblicare alcune mie foto con una poesia del grande Fernando Pessoa! Sono molto affascinata dalle sue poesie e mi incuriosiscono i suoi eteronimi, frutto della sua mente veramente geniale. Non basta aprire la finestra ha avuto diverse interpretazioni. Siamo incapaci di vedere la realtà solo con i nostri occhi o forse egli ci parla della possibilità di vedere molto più in là della realtà grazie ai nostri sogni? 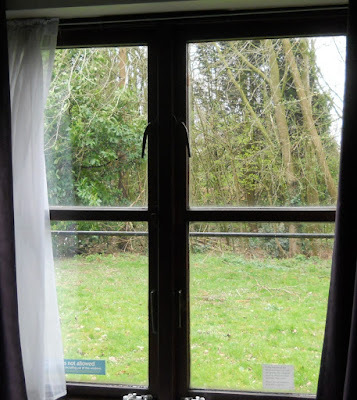 It isn't enough to open the window. It isn't enough not to be blind. Che mai è quello che si vede quando la finestra si apre. Fernando Pessoa is recognized as the greatest poet of the Portuguese language. He was born on 13th of June 1888 in Lisbon, Portugal. He is distinguished as the most momentous literary figure of the 20th century who played a major role in the development of modernism in his country. The English language played a major role in his life. He translated, working, writing, studying and even think in English. Pessoa was a writer with an enigmatic personality. He gave birth to more than 70 eternonimi ii with which he decomposed in several other personalities, all with different and separate life. The heteronyms possess distinct biographies, temperaments, philosophies, appearances and writing styles. Fernando Pessoa, nato il 13 giugno 1888 a Lisbona in Portogallo, è riconosciuto come il più grande poeta della lingua portoghese. Si distinse come la figura letteraria di grandissimo rilievo del 20 ° secolo ed ebbe un ruolo importante nello sviluppo del modernismo nel suo paese. Visse per la maggior parte della sua giovinezza in Sudafrica e la lingua inglese fu fondamentale nella sua vita, tanto che traduceva, lavorava, scriveva, studiava e perfino pensava in inglese. Pessoa è stato uno scrittore con una personalità molto enigmatica. Diede vita a più di 70 eternonimi con i quali si scomponeva in altre personalità, tutte con vita diversa e separata dalla propria. 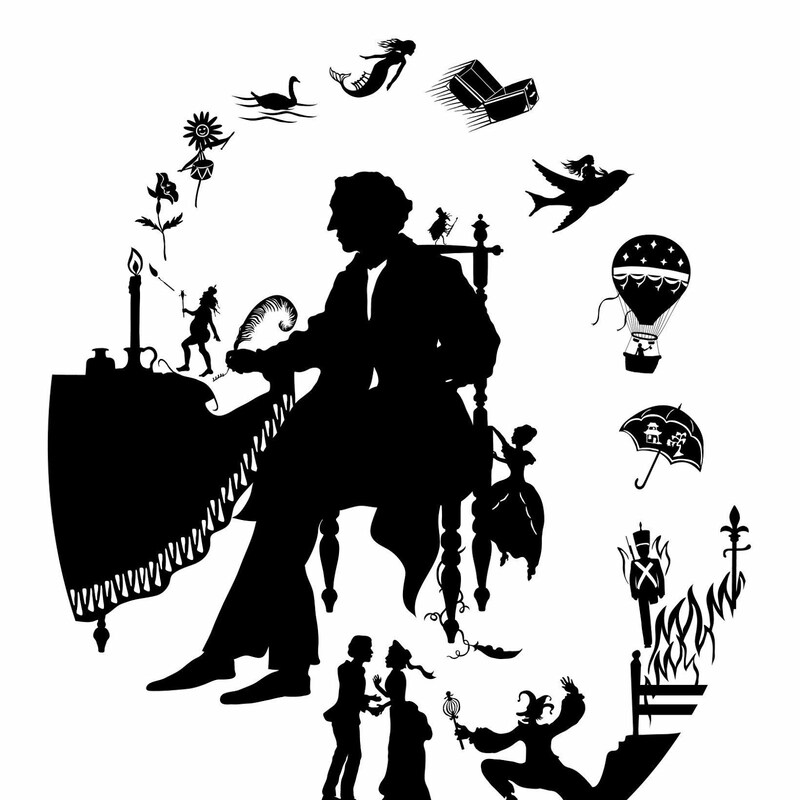 Tutti i suoi eteronimi ebbero biografie, temperamenti, filosofie, apparenze e stili di scrittura molto diversi tra loro. che vivendo da signora, in qualunque altro posto. 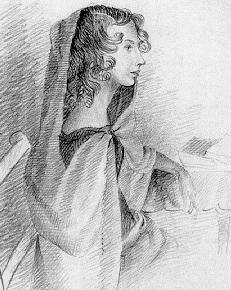 Per le celebrazioni del bicentenario dalla nascita di Charlotte Brontë è l'occasione di leggere e rileggere tutte le opere delle Brontë!. Io ho iniziato da questo bel testo di Giorgia Sonnino del 1903 pubblicato da Edizioni flower.ed nel 2015 per la collana Windy Moors. 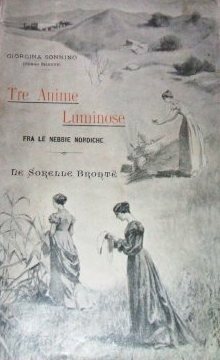 Scritto da un italiana, Tre anime luminose tra le nebbie nordiche è una biografia ricca di dettagli sulla vita delle sorelle ed in particolare di Carlotta (nel testo il nome è con la traduzione in italiano). Dagli anni dell'infanzia (negata!) nel collegio a quelli di istitutrice, dai sogni di aprire una scuola tutta sua e delle sorelle a quelli di pubblicare i romanzi, alla drammatica storia del fratello e alla morte delle sorelle, fino al dolce, tenero e purtroppo breve matrimonio. E' un racconto di una vita complessa tragica eppur luminosa trascorsa nella solitudine e la nebbia dello Yorkshire con un attaccamento alla propria terra d'origine dalla quale era costretta a scappare ogni volta per procurarsi lavoro per vivere. Carlotta in questo testo 'rivive' la sua storia lasciando al lettore un senso di dolcezza nei suoi riguardi per la sua fragilità e nello stesso tempo per il suo coraggio di donna e di scrittrice della sua epoca!. Pubblicato nel 1903 e fuori commercio da lungo tempo, Tre Anime Luminose fra le nebbie nordiche. Le Sorelle Brontë di Giorgina Sonnino rappresenta la prima biografia delle sorelle Brontë in lingua italiana. 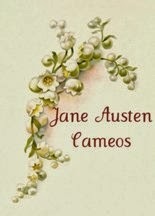 In un tempo in cui le traduzioni di romanzi come Jane Eyre e Villette non erano ancora state offerte al pubblico dei lettori italiani, l’illustre rivista Nuova Antologia accolse il volume molto positivamente: “La lettura del libro è interessante come un romanzo, o meglio, come un racconto di cui conoscessimo e amassimo i principali personaggi”. Il testo è ricco di dettagli, particolari e aneddoti molto ben documentati. In questo rigore storico, non manca però un grande coinvolgimento emotivo per le vicende narrate, esaltato da una scelta lessicale molto evocativa da parte dell’autrice. 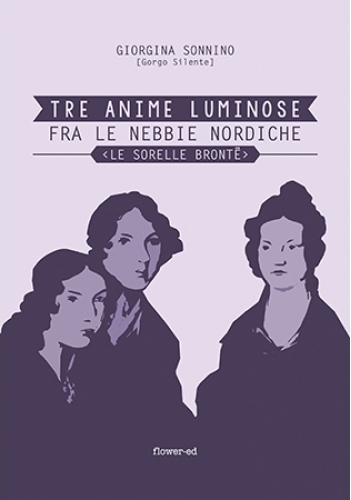 Dimenticato per troppo tempo, questo libro è uno scrigno di preziose informazioni per tutti i lettori appassionati delle sorelle Brontë: tre anime tanto luminose da riuscire a diradare le nebbie in cui nacquero, quelle reali della brughiera inglese e quelle metaforiche delle difficoltà economiche e sociali tipiche dell’età vittoriana. Giorgina Sonnino nacque il 17 febbraio 1875 in una famiglia ricca e nobile. Nel 1903 sposò Enrico Guzolini, dal quale ebbe quattro figlie: Margherita, Giuseppina, Elena e Angela. 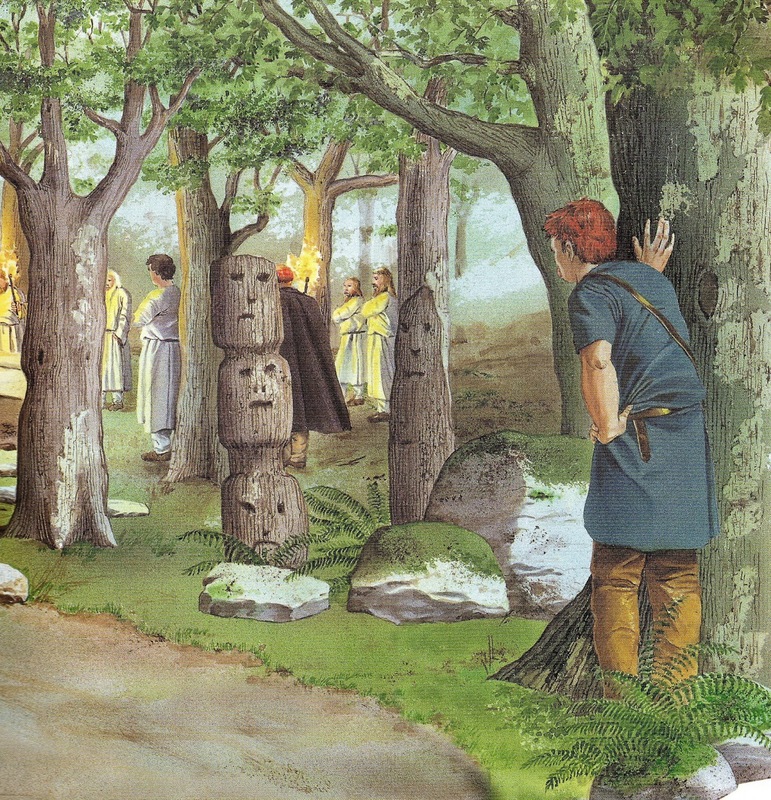 Nello stesso anno, pubblicò la biografia “Tre Anime Luminose fra le nebbie nordiche. Le Sorelle Brontë”, mentre l’anno successivo pubblicò il saggio "Il pensiero religioso di una Poetessa inglese del Secolo XIX. Emilia Giovanna Brontë" entrambi riscoperti e pubblicati dalla casa editrice flower-ed nel 2015. Giorgina Sonnino morì il 7 giugno 1943. Le sorelle Charlotte, Emily e Anne Brontë furono scrittrici i cui romanzi sono diventati dei classici della letteratura. Nacquero a Thorton, Yorkshire. Charlotte è nata il 21 aprile 1816, Emily il 30 luglio 1818 ed Anne il 17 gennaio 1820. 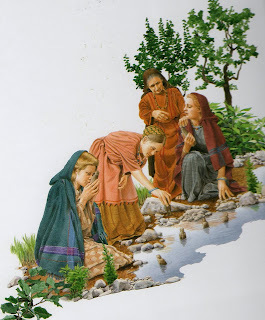 Avevano due sorelle maggiori, Mary ed Elisabeth che morirono entrambe giovanissime a seguito di stenti patiti nel collegio in cui venivano istruite mentre l'unico fratello morì anch'egli giovane dopo un lento declino fisico e psicologico dovuto in parte anche consumo di oppio e alcol. Il loro padre, Patrick, era un pastore anglicano nominato rettore del villaggio di Haworth, nella brughiera dello Yorkshire. Dopo la morte della madre nel 1821, la loro zia Elisabetta si trasferì presso di loro prendendosi cura della famiglia. L'infanzia e la giovinezza delle tre sorelle fu molto simile: frequentarono a momenti alterni le scuole, divennero istitutrici, furono spesso lasciate sole nella loro casa isolata nella brughiera e tutte iniziarono a a scrivere storie in tenera età. Nel 1842, Charlotte ed Emily andarono a Bruxelles per migliorare il loro francese, ma ritornarono a a casa dopo la morte della zia Elizabeth. Charlotte ritornò a Bruxelles come insegnante di inglese negli anni 1843-1844. Nel 1845, la famiglia si ritrovò nuovamente riunita a Haworth (erano gli anni in cui Branwell era dipendente da alcol e droghe). 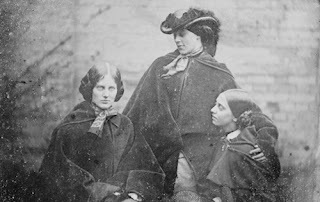 Nel mese di maggio 1846, le sorelle pubblicarono a proprie spese un volume di poesie sotto pseudonimi di Currer (Charlotte), Ellis (Emily) e Acton (Anne) Bell. 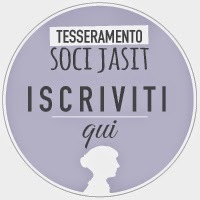 'Agnes Grey' di Anne e 'Jane Eyre' di Charlotte sono stati pubblicati nel 1847. 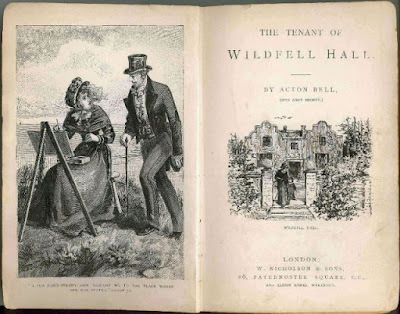 Il secondo romanzo di Anne, 'The Tenant of Wildfell Hall' e 'Wuthering Height' di Emily furono erano entrambi pubblicati nel 1848. Branwell morì di tubercolosi nel settembre del 1848. Emily morì della stessa malattia il 19 dicembre 1848 e Anne il 28 maggio 1849. Rimasta solo con il padre, Charlotte continuò a scrivere. 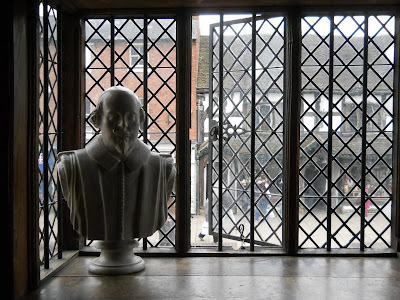 Era ormai una scrittrice ben nota e visitò Londra diverse volte. 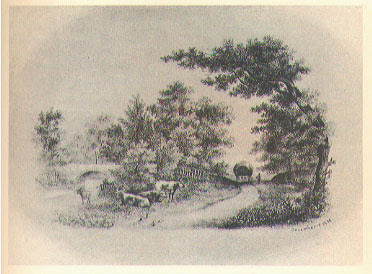 'Shirley' fu pubblicato nel 1849 e 'Villette' nel 1853. Nel 1854, Charlotte sposò il reverendo assistente di suo padre, Arthur Nicholls Bell. Si spense di tubercolosi il 31 marzo, 1855. Keep Calm and ...Love England!